2015, at least in Spotter Guide form is a wrap! Thank you so much to the sponsors of the guides this year. 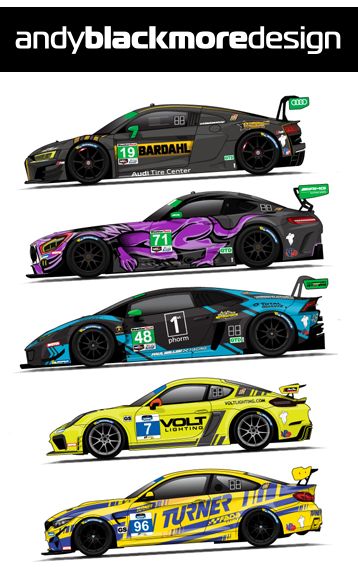 IMSA, who commission me to produce the online and supply art to their printed Official Spotter/ Fan Guides as well as supply car art for their website, app and merchandise. NISSAN and NISMO for their awesome sponsorship for the 24 Hours of Le Mans, World Endurance Championship and European Le Mans Spotter Guides. and to HANKOOK TIRES for their Formula Drift Spotter Guide/Autograph Poster.